When I was first introduced to BB creams, I thought they were seriously the best invention EVER! That is... until I met my first CC Cream! Smashbox is an iconic brand known for their innovative and high quality products! Naturally, when they introduced the CC cream, I just knew I needed to get my hands on it stat! I mean, if this product is as good as their cult favorite primers, I knew I was in for a real treat! 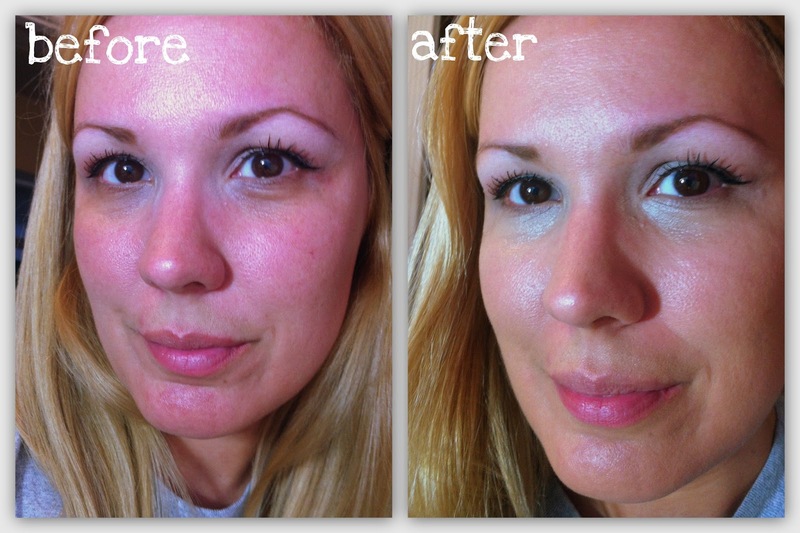 As you can see from my before picture, my skin tends to be a bit blotchy and has quite a bit of redness. Smashbox Camera Ready CC Cream evens my skin tone immediately after application. It can be worn alone, which I do most days, or under foundation for additional coverage. This CC Cream is formulated to go beyond priming, perfecting, hydrating and controlling oil in a single step to reduce the appearance of dark spots and effectively improve the appearance of uneven skin tone. It also offers SPF protection against UVA/UVB rays and leaves your complexion glowing! This miracle cream comes in four shades to suit all skin tones! Honestly, I've officially converted from a BB girl to a CC queen! Period! So lets chat! Have you tried Smashbox Camera Ready CC Cream? What did you think?! I absolutely love it! Seriously CC creams are my new favorite cream! Wow *-* a great result!! Smashbox has great products all around I've been using up my products so I could try it....can't wait!